This year school districts across Florida are adopting new science textbooks. In many of those districts the process is pretty far along, with committees already having looked at the options and made their selections. Then the materials are offered to the public for viewing and comments. For instance, I know that the public review is going on right now in my school district. And finally, over the next few months we’ll see school boards voting on the adoption of those materials. I guarantee many of those board meetings will not go well. 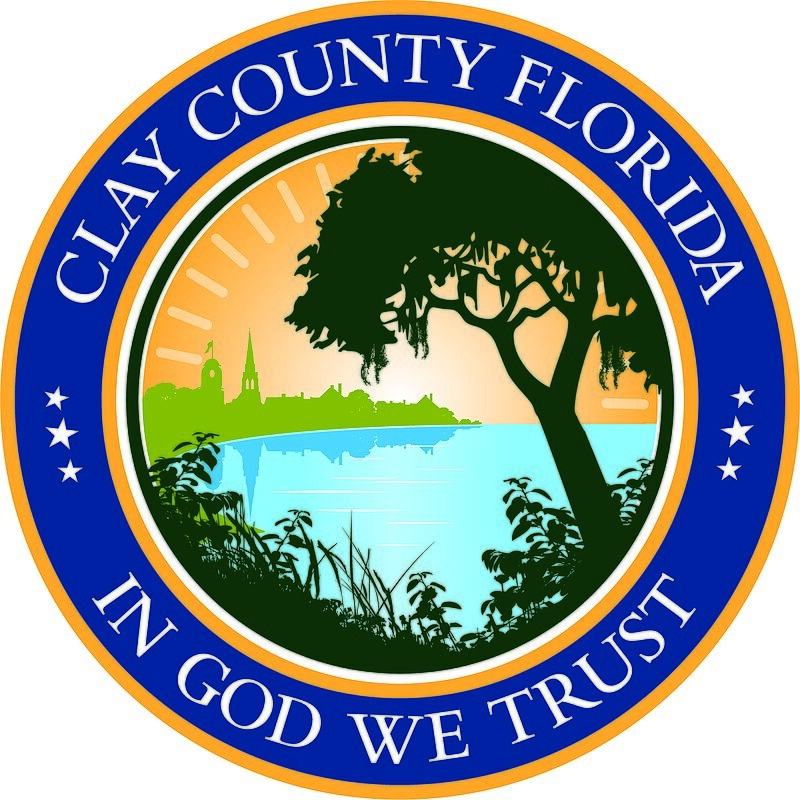 Clay County is an example. Evolution in the textbooks was the hot topic that consumed nearly two hours of the Feb. 1 school board meeting. The end result was a 3 to 2 vote in favor of adopting the textbooks but there was a public comment slugfest leading up to it. I invite you to watch the board meeting here. Below I’ll summarize some of the main points and provide you time stamps. Keep in mind that unless I have something in quotes that it’s just my paraphrasing and summarizing. If you believe I got something wrong, please let me know. 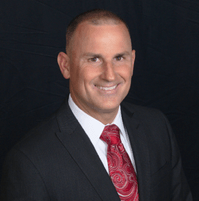 Florida Citizens for Science board member David Campbell reserved a special presentation time in advance in order to address some of the misconceptions and errors that were evident at the previous school board meeting when evolution came up. (See our post Meanwhile in Clay County: the teaching of evolution is “intellectually deceptive” about that meeting.) His comments start at 00:45:21. He did a good, if rushed, job of explaining what a scientific theory is and what the Florida state science standards say about evolution. Despite speaking with confidence and authority from more than two decades of teaching it’s clear that his mini-lecture didn’t have much impact as evidenced by the comments to come. But he did get a round of applause when he finished. He then showed some slides that define what a scientific theory is. However, he read very fast and really butchered what he was reading. And he made sure to emphasize parts of the slide that say that sometimes science concepts can be refuted and revised. That’s when it dawned on me why some people just can’t seem to grasp the concept that a scientific theory is not a guess. They see that science can change when new evidence is found and that immediately reinforces their preconception that theories are wishy-washy. He then showed a slide about the 7th grade science standards. He showed another slide, this time from the high school biology standards. He went on to say that “scientific theory of” was inserted, making the standards much better, thus clarifying that evolution is not fact. He wrapped up his presentation by saying that the textbooks under consideration were vetted and that 100 percent of the district’s biology teachers chose the textbook the school board was now considering. In other words, Davis was trying the reassure the board members and the public that they shouldn’t fear evolution being taught because it’s not being taught as a fact but rather as a theory. Sorry, David Campbell, but your mini-lecture went right over the superintendent’s head. Next was the public comment period. It starts at 3:01:37 and features 21 people, 16 of whom were against evolution and five who were for evolution. But note that not all of the ones who spoke in favor of evolution were truly speaking for evolution. My summaries below are very brief. I just want to give a quick sample of what was said. I invite you to watch for yourself and provide me any corrections or clarifications you may have. But before you dive in, I need to make some very important points. First, there were many more people against evolution than for at this meeting. Second, school boards across the state will be meeting about this exact same topic very soon. Do you know when your school board will be adopting your district’s science textbooks? Are you going to that meeting? Refer back to my first point. Third, pay particular attention to Mary at 4:02:00. If you watch only one segment of the video, watch that one. Against Evolution: Ernie – a physics teacher. Evolution is a one sided view. No flaws are presented in the textbooks but should be. For Evolution: Mr. E — creationism is not science, we should not teach creation myths. Against Evolution: Scott – a pastor, a theory should be questioned and we should point out its flaws, allow critical thinking, we need supplementary materials. Against Evolution: Caleb — believes in Intelligent Design (ID), there is controversy over macroevolution, ID should not be swept under the rug. Against Evolution: Juan – a physician with biology and medical degrees, heart is amazingly designed, advocates for ID. Against Evolution: Sharon – we need to allow more than one option in the classroom. Against Evolution: Doug – has experience as a substitute teacher, noticided a lot of uncertain language (maybe, could have been, possibly) in textbooks, we didn’t come from a monkey kids said, a teacher was afraid to teach about Christianity in history class. Against Evolution: Graham – a high school junior, don’t believe in evolution, said he was ridiculed for mentioning ID by other students, evolution was used a justify superiority, Hitler. Against Evolution: Ken – quotes from 2008 resolution that the superintendent had mentioned earlier, we’re not following our own resolution, need to mention flaws and alternate viewpoints, needs to be balanced and fair, censorship. Against Evolution: Daryl – his daughter was told that evolution was fact, science changes every day, there is reasonable doubt about evolution. Against Evolution: Virginia — found inaccuracies and incomplete information in text, vestigial appendix has a function, no mention of Cambrian explosion in book, we need supplemental material. Against Evolution: Art – we need to notify students that evolution and climate change are just theories. Against Evolution: Brian — evolution is dogma, we need to point out flaws and alternate views. Against Evolution: Kelly – I studied religion later in life and realized I’d been lied to. For Evolution: Victoria – an elementary school teacher, creationism has no evidence and it’s not science, separation of church and state. Against Evolution: Henry — Need choices, In God We Trust is our motto. Against Evolution: Mary — from Clay Family Policy Forum, points out that three school board members had filled out a survey that said they disagree with evolution being taught as fact and that alternate theories should be taught. Warned that the voters are watching to see if the board members would follow through on what they said in the survey. For Evolution: Shanna – a teacher and parent, Jewish, keep science in science class and religion at home, it is taught as a theory. For Evolution: David Campbell (our Florida Citizens for Science board member who had given a mini-lecture earlier) – I know I won’t change minds, Nazis did not like Darwin, thermodynamics is being used wrong as an argument against evolution, macroevolution can be observed, alternative theories lawsuit cost money, suggests people read books from a list of his that show religion and science can be reconciled. For Evolution: Renelee — we teach evolution as a theory, it’s reckless if it’s being reported that we’re teaching is as fact, I’ve been in touch with lawyers, I learned evolution in a Christian school, my faith not in conflict with science, lawyers say ID is unlawful, can’t be endorsed by district. 4:16:52 — someone wants to speak a second time but is denied. Then the board members had their discussion starting around 4:18:14. Once again, these are just brief summaries. Ashley Gilhousen – I would never jeopardize us legally, there is science left out of the textbooks, only evidence supporting evolution is presented, my faith is not a part of this discussion, we need a comprehensive science education, students can make own decisions. Mary Bolla – When you sign contract to teach, you are saying that you will teach to the standards, there are 301 science standards, more than 100 in biology, they give parameters on what is required to teach, students will share with you what they think and feel, if a teacher is presenting evolution as fact then talk with the teacher directly and maybe the principal. Janice Kerekes – we need to follow standards and law, these textbooks follow standards, nowhere in the book does it state that evolution is a fact. Betsy Condon — people unclear on what we voted on last meeting which was just to advertise the hearing, teachers don’t want to teach to the test but this proposal is having us teach to the test, some teachers afraid to come and speak, my degree is in science no one every challenged my beliefs or told me I was wrong, math and science achievement is slipping, we want excellence for our students, I will not support this recommendation to adopt the textbooks. School Board Chair Carol Studdard – Asks if the standards say evolution is a fact? A gentlemen who I don’t know says that standards say “scientific theory of evolution.” Studdard mentions the 2008 resolution and notes that theory was then added to the standards. A gentleman who I believe is the legal counsel says that instructional materials must adhere to standards. The textbooks do comply with standards, there’s not a lot of wiggle room. There must be strick neutrality between religion and nonreligion. No other alternate theory has ever been presented that was found to be strictly neutral and thus always lost in court. Mentions the federal court case Kitzmiller, saying it’s a wakeup call that covered the same issues, 6 week trial, think of the expense! Gilhousen says that simply presenting flaws in evolution shouldn’t entail legal risk. But the lawyer gentleman said that it could expose you to risk. Gilhousen wonders how is citing flaws is bad? I believe the superintendent that says you would be hard pressed to find textbooks that point out flaws in evolution, but kids might bring it up in classroom conversation, the publishers are vetted, the books fit the standards. Studdard says administrators assured her that evolution is being taught as a theory. If they teach it as fact, then professional development might be needed to correct that. Need to be careful to avoid a lawsuit. This has nothing to do with religion. We want the kids to ask questions. Want to be fair but need to be lawful. At 4:47:22 there is a vote. Gilhousen and Condon vote no. Hopefully, reading this and viewing the video motivate you to take action. If you don’t know the science textbook adoption schedule in your school district, start researching now. Don’t wait. A few comments on the meeting. The superintendent’s comments mirror those made by the Nassau County school board attorney late last year. He is an elected official and to say anything other than what he said would have guaranteed his defeat in the next election. We talked after the meeting and I have hopes that I can teach inservice to high and junior high science teachers in the near future. The district science curriculum specialist spoke to me after the meeting and is on board with teaching sound science. The teach evolution as a theory is in the standards. I explained during my 10 minute presentation that it is a fact and that natural selection is the theoretical part of the concept but as long as that “scientific theory of evolution” is in the standards that is far as we can (legally) go in the classroom. I taught evolution as an observable and oft observed phenomenon as do several of my peers. Understand that any teacher hired since June 2011 serves at the whim of the principal. Absolutely zero job security. They aren’t going to make waves with controversial topics. A couple of local churches put out the word and urged their congregants to show up and speak. It was orchestrated in advance. Most were also given talking points. We aren’t going to change their minds. We just have to work on the board and ignore the radicals who parrot what they are told without thinking. Give the members of the board and the superintendent a little slack on this. They are on our side but this county is politically to the right of Attilla the Hun and theologically to the right of Ken Ham. We have three solid votes on the board and one of them (Janice Kerekes) is up for re-election this year. Carol Studdard, the board chair, and the superintendent agreed to my presentation with a copy of the powerpoint slides in hand. Perhaps they thought I would take some of the heat off them. They knew what was coming. Ernie, the physics teacher, should be given credit for doing a quite commendable Gish Gallop. Adequate rebuttal was impossible. Sitting behind me was a friend who teaches at the same high school as Ernie. They consider him an embarassment and several of them sent a note to at least two of the board members after the meeting stating so. I have a copy of the briefing book he gave to each of the board members and nobody with even a basic modicum of science knowledge can believe the things in that book. That a high school physics teacher could use the old 2nd Law of Thermodynamics argument is damning. Near the end of the board meeting the school board attorney addressed one of Ms Gilhousen’s concerns about alternative theories by stating unequivocally that there are no alternative theories to evolution that aren’t faith based and hence run afoul of the establishment clause. He based his analysis on all the usual court cases (especially Dover) with a couple more that I had not heard of. He may be our best ally on this board if the controversial theories legislation becomes law. It is going to be long year. And yes, I can back that up using creationist methods. Yes, never. My native country lets professionals, ie qualified scientists, decide what will be taught in science class. So there are no textbooks that “question” evolution theory. Pupils can do that during religion class, on religious schools. In science class they have to learn evolution theory, no matter their religious background. MNb-You’re correct, there are no textbooks that ‘question” evolution theory. That’s because anything that might question evolution’s validity must be declared religious for it’s survival. If all the strengths and weaknesses of the theory were available to students showing evolution’s imaginary fallacies the theory wouldn’t last as theory.